The Solo Performer: Robert Michael Oliver on The Incredible Shrinking Ensemble: Is Solo Performance Theatre’s Future? Celebration and Exploration of the Art of Solo Theatre Performance. Robert Michael Oliver on The Incredible Shrinking Ensemble: Is Solo Performance Theatre’s Future? 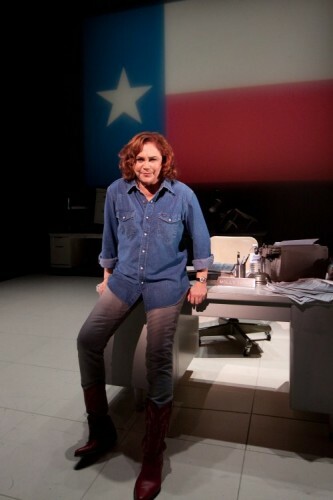 production of Red Hot Patriot The Kick-a*s Wit of Molly Ivins. [The] emergence [of solo performance] as a presence at mid-sized theatres, however, is most likely a harbinger of things to come. The audience can listen attentively and imagine their significance and what they must have been like, but within the frame of the one-person performance those scenes cannot affect us emotionally the way drama does. Welcome! Glad you have stopped by. This site is moderated by Brad McEntire, a solo performer, playwright, improviser and stage director based in Dallas, Texas. THE SOLO PERFORMER (TSP) will strive to be a go-to point for information on solo theatre, from historical profiles, interviews with contemporary artists, book reviews, essays, tips, techniques, perspectives, festival listings, etc. TSP is a collaborative holding place for ideas. Right now, the site is filled with whatever Brad finds and finds interesting about solo performance. It is essectially a one-man job (okay... pun intended). If you are a solo performer or a theatre writer and want to contribute, the welcome mat of out. Please drop a line. Email link at bottom of the page. Enjoy! "It is necessary to have a point of view about the world which surrounds you, the society in which you live; a point of view as to how your art can reflect your judgment... You must ask yourself, 'How can I bring all of this to the statement I wish to make in the theatre?'" We would love to hear from you. Please let us know how we can make this site even better to serve you. We hope you enjoy The Solo Performer blog. Please spread the word in the performing arts community and do, please, come back again.